I am always trying to find original things to share with you, and knowing that some of you will celebrate San Valentine’s day next week, I thought you would like this cheap and original way to surprise your loved ones. 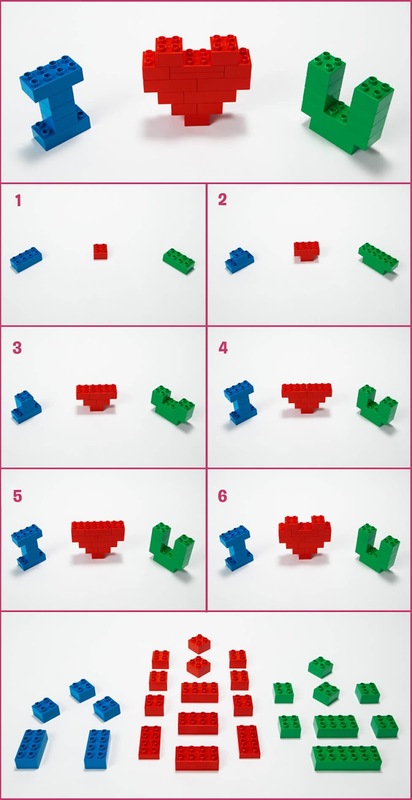 If you like Lego, take a look at their creation videos, you will be surprised on how easy but amazing creations you can make with just a few pieces! So, with a few bit I find at home, I did these pretty letters! Do you like them? Have you ever tried any creation?